Ch. 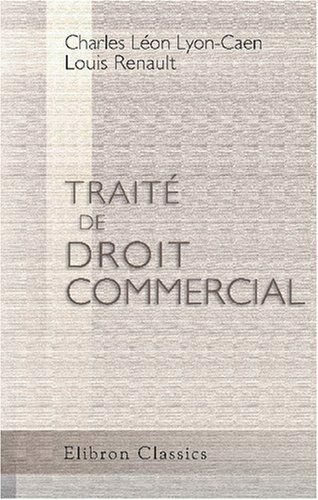 L. Lyon-Caen - TraitÃ© de droit commercial | Free eBooks Download - EBOOKEE! Posted on 2018-08-27, by flint555. No comments for "Ch. L. Lyon-Caen - TraitÃ© de droit commercial".